WOW! Quite hard to imagine we are writing a blog for the fifth star sign already! It’s been almost a week and we are still having so much fun! Today we have also scanned several other items related to Notte Bianca like tickets, official information booklet and several receipts. We will upload everything once all the guestbooks are here! And today’s entry is dedicated to the lovely Twins – two halves of the same whole! 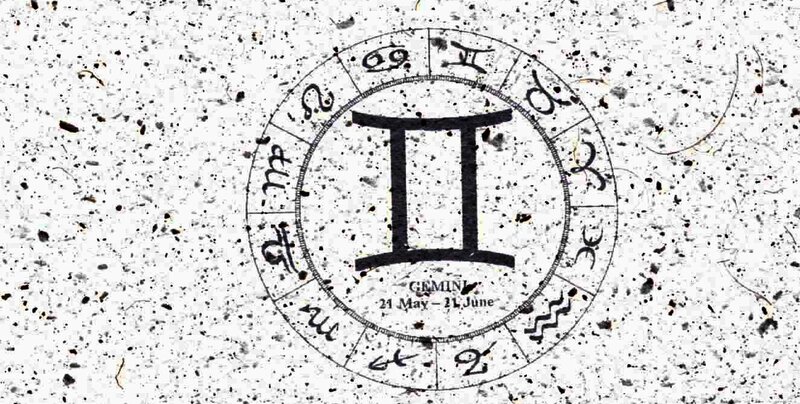 Gemini represents the dualist nature of the universe. You know – light and dark, day and night, love and hate, life and death….We could go on forever! People born under the sign are known to change quickly like the wind (their element is air!). They are usually calm, but in the next moment they could burn with anger! You gotta be careful around them. But they possess also amazing intuition, sense of justice, are faithful friends and tender parents. If you are looking for a business partner, a Gemini will be perfect for that role. 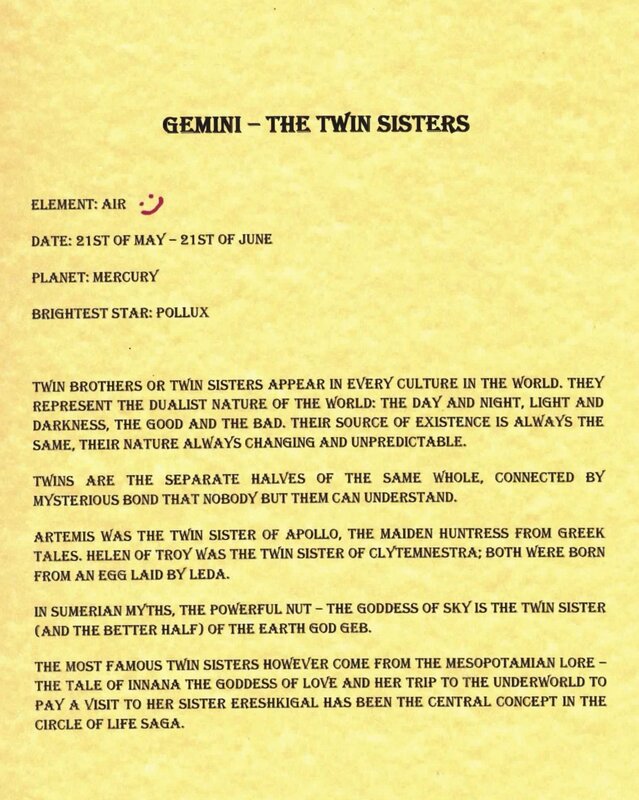 So what makes the true Gemini? Are they really so full of contradictions? Let us see…. Gemini background written by Rita and scanned, as usual, by Mal. Did you notice that somebody drawn a smiling face on it? 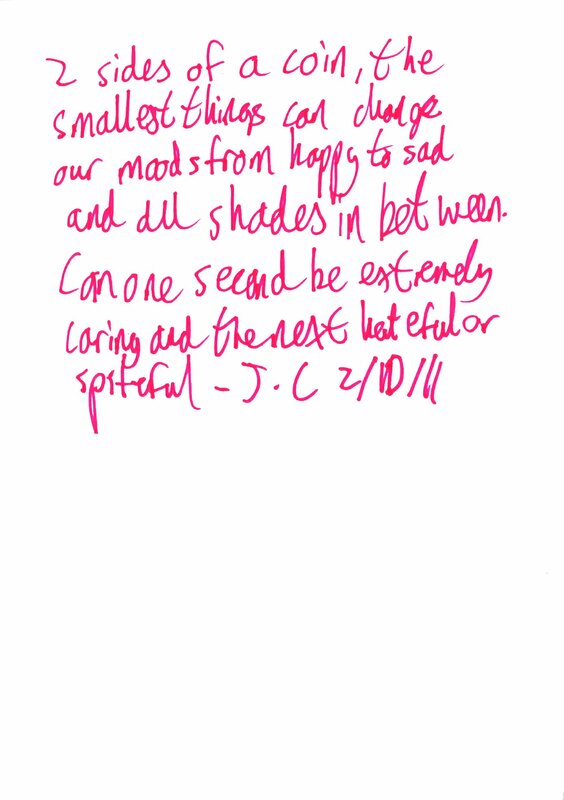 The first comment left by J.C reads: “2 sides of a coin, the smallest things can change out moods from happy to sad and all the shades in between. One can be extremely caring and in the next (second) hateful or spiteful”. English supermodel Naomi Campbell is an extremely good example how quickly the Gemini can switch between moods. She is one of the hardest working models, yet has the reputation of a being easily angered. But her temperament adds to her charm we say! Another guest, Anna has given us a note in German. We translated it to: “Universal, interesting, optimistic, talented, funny, friendly, loves animals especially cats, pursuing their goals and aims, intelligent and many, many more”. She also added: “Open-minded, tolerant with a good heart”. And just to prove her point, Anna has left a drawing of a heart pierced by an arrow! The first anonymous post regarding Gemini is very short: “Creative, kind hearted, free spirited at times”. Freedom is very important to Gemini. Please take a look at American actor and musician Johnny Depp. Despite very successful career, Johnny thinks that his biggest success is staying away from Hollywood! He lives a very normal life with his partner Vanessa Paradis and two children in France, far away from the show business, and he is still a part of it! Can anyone beat that? Comment left by Maite from Spain is probably the shortest so far. It says: “We are the best : )”. Well, if you put it this way…we have nothing to add! A post signed with unreadable signature (what a shame, we’d love to know your names people!!) is more philosophical than previous ones: “There is no black and white, only shades of gray!” Indeed, it is not so easy to judge a person, especially as complex as Gemini. Whatever they do, it cannot be simply classified as good or bad. Clint Eastwood has won a universal acclaim by portraying ambiguous characters – he is also a Gemini by birth! Antonia shared a nice and a bit personal comment with us writing that Gemini are: “Very moody but (it is) very, very, very nice to stay in their company and when they fall in love with something or somebody it’s the world!” Antonia is not mentioning if she is a Gemini herself, but when a Gemini falls in love, nothing can stop them. Angelina Jolie is a good example! We have tried to translate the next comment, left to us in Italian, but Google translator is useless : D it says: “I Gemelli – su faccioli!”. If anyone knows what that means, please let us know! We are back to English again! One page, two authors. 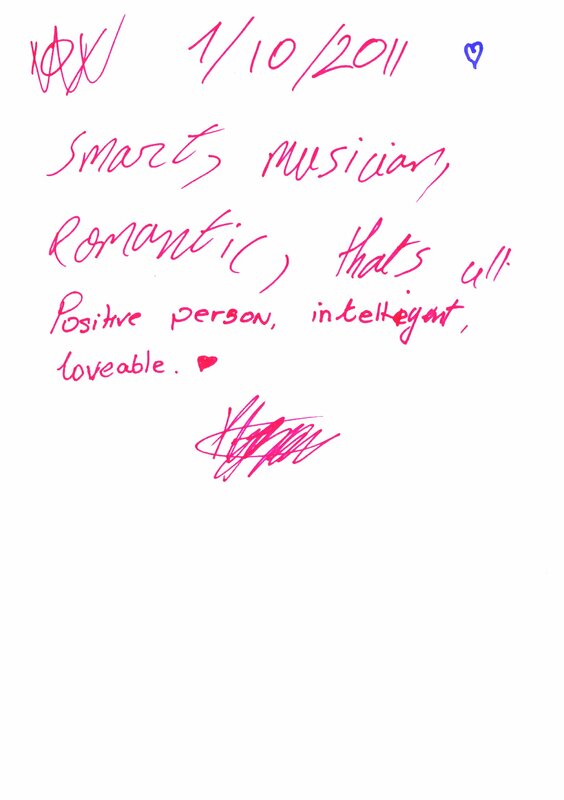 The first said: “Smart, musician, romantic, that’s all!”. 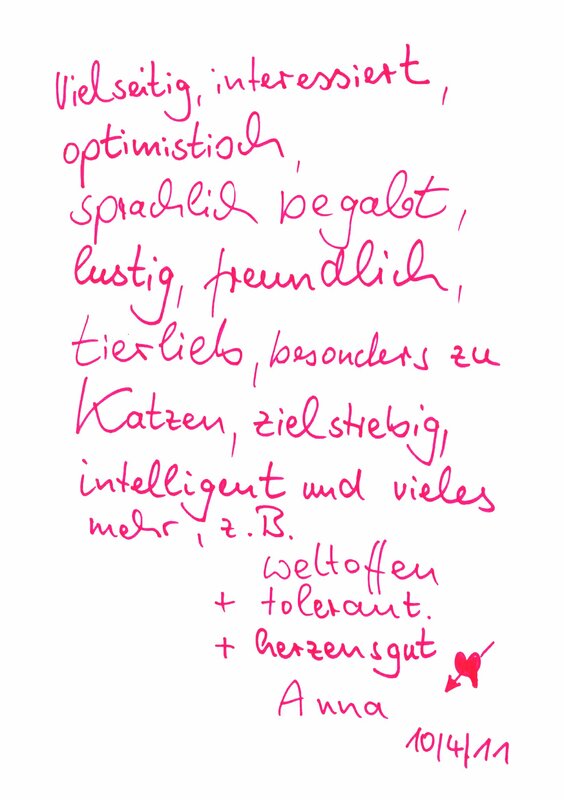 The second added: “Positive person, intelligent, lovable”. The sentence ends with a heart symbol, just to emphasize how lovely the Twins truly are. We must agree – there are many musicians born under this sign. They are not your average, silly songstresses or pop starlets – they are the bards like Paul McCartney and Bob Dylan. Maltese visitor – F. Demicoli – described his opinion about the Twins: “Gemini are very friendly and tolerant. 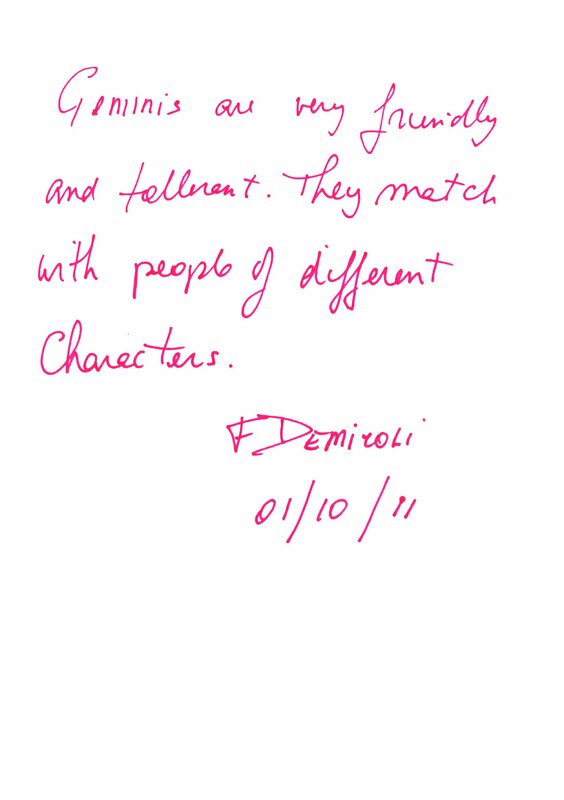 They match with people of different characters”. Did you know that Queen Victoria and Artur Conan Doyle were known to have friends in all circles and of almost all nationalities? The last page was written by three different people. Salib Mirza wrote a very intriguing comment: “Clouded maze of electrical thought”. 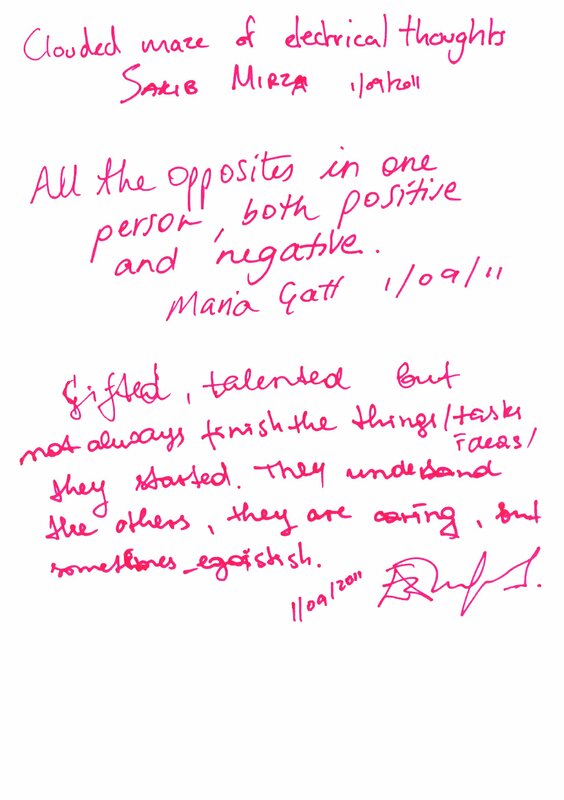 Maria Gatt was more conventional stating: “All the opposites in one person, both positive and negative”. The last, entry said “Gifted, talented but not always finish the things (tasks, ideas) they started. They understands others, they are caring but sometimes egoists”. As usually, the best comments are the last ones. So who is a Gemini? A person of many interests and with friends in all the right places. Moody, but adapts quickly. Changeable but always the same, positive and negative at the same time. It’s hard to get to know them, but once you do, you gain a truly wonderful friend or a partner for life! 5 signs done, 7 more to go! Up next – the mighty Leo!